The Dallas Cowboys are not worried about their offense following last week's season-opening defeat, according to wide receiver Cole Beasley. 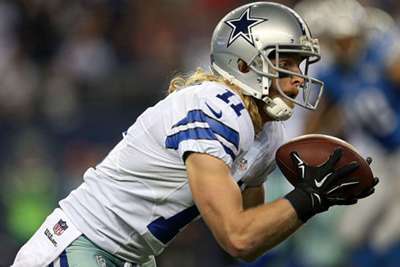 Dallas amassed 232 yards and one touchdown in a 16-8 NFL loss to the Carolina Panthers on Sunday. The Cowboys had more yards and points than just two teams in week one - the Arizona Cardinals and Buffalo Bills. "We're still very positive and we know what we have in here," Beasley told reporters on Wednesday. "Nobody's hitting the panic button." Beasley, though, said the Cowboys' problem can be broken down to just one thing. "It was just one guy on any given play who didn't do their job and it was breaking everything down and making it look worse than it was," he said. "We still had plenty of opportunities to move the rock. We'll just clean those things up and get better." Beasley and Dallas faces the New York Giants on Sunday.